On Wednesday 02nd of May Future Foundations hit the road again! This time we were hopping on a train to Hornbeam park. 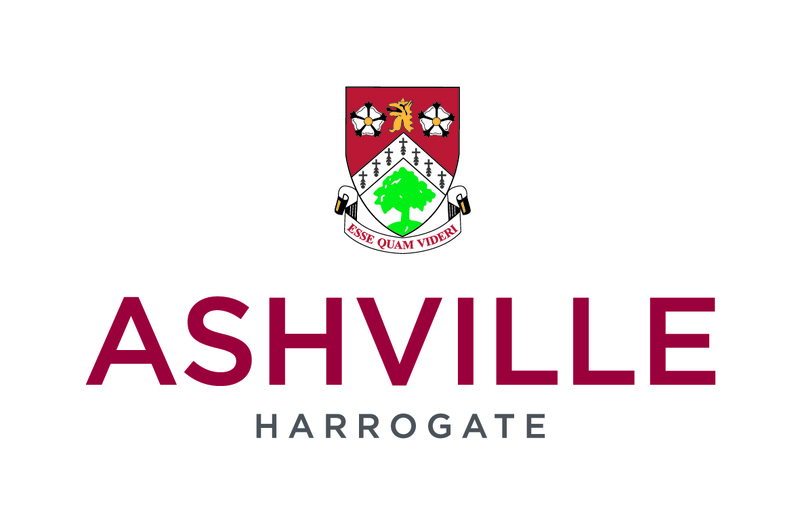 We were making our way to Ashville College, Harrogate, where we would be delivering a leadership programme to one of the largest groups we’ve had this year; a whopping 83 young people were in attendance. Our dedicated Course Director Owen and his amazing coaches: Jason, Amrit, Mark, Henderson and Juliette went on a mission to equip the students with valuable leadership and employability skills needed for their bright futures and transition to Upper Sixth at the College – they aimed to please, and they did not fail! Encourage students to take personal responsibility for their own learning, take advantage of academic and professional opportunities and highlight the benefits of doing so. Challenge students to find innovative solutions to school and local issues or opportunities establishing a culture of creative, engaged and proactive Sixth Formers ready to lead the school in Year 13. Build the students’ leadership, confidence, initiative, teamwork, pro-activity and commitment towards their vision through working together on team building tasks. 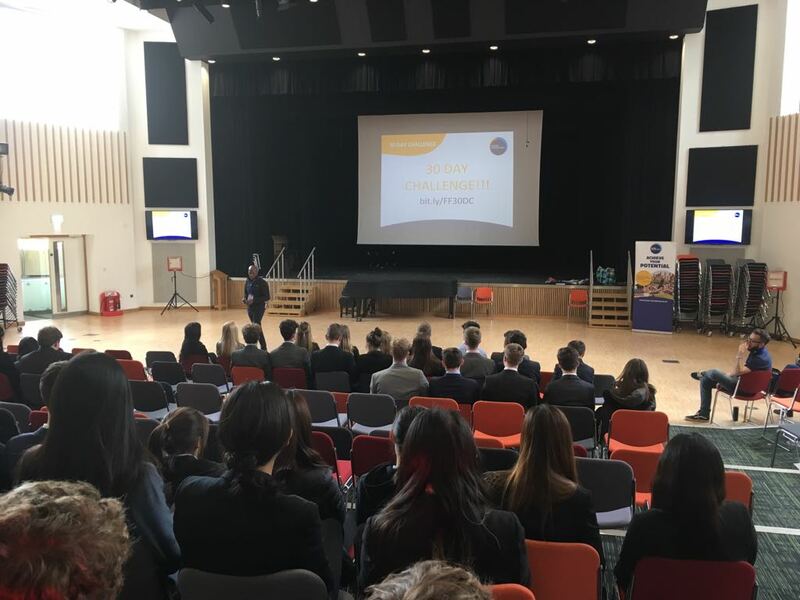 Special topics sessions encouraging students to broaden their perspectives, gain employability skills and consider specific leadership roles and projects inside school. Prepare students for the transition from Lower to Upper Sixth, giving them the skills to build their personal profile and successfully present themselves to admissions tutors and employers in the future. Amazing staff, teaching an incredibly important lesson! I actually enjoyed working with a very enthusiastic leader, discussing and building self belief. The day began with an opening plenary that set the tone for the inspiring workshops that lay ahead. We explored the young people’s roles and responsibilities within their school, community and society. Through the use of our experiential learning task ‘driving me’, we demonstrated to the young people (with a little help from blindfolds) that if they want, they can be the directors of their futures. Using the buzz and drive created from the plenaries physical activity we moved onto the workshops which were revolved around leadership. They took part in Self Leadership, a Session that covers ‘choosing your attitude’, develops deep listening skills and collective responsibility; The Lava Challenge, an outdoors Team Challenge that requires Leadership, Teamwork and Communication. This gave the young people the opportunity to put the skills they have developed over the day into action. 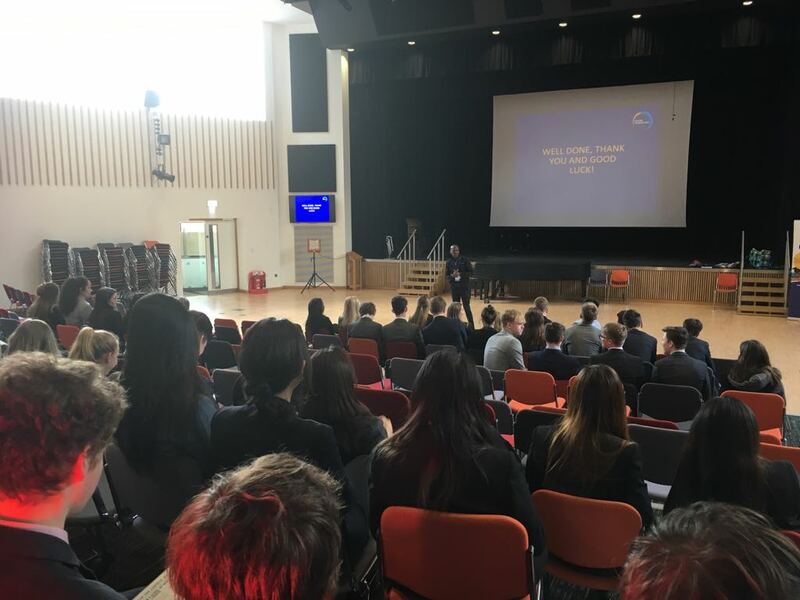 Other activities included WOW Challenge, where students work in teams to devise a product or service which benefits the community and Presenting for Success – a session that gets the students presenting ready through looking at the different ‘zones’ of presenting. The day ended with a closing plenary which provided time for the students to reflect on the sessions they had partaken in. Owen encouraged them to take part in the 30 day challenge, a pivotal process that is vital to changing behaviors. It is fair to say the students left acknowledging that when you turn your ideas and good intentions into actions, you become a vital and successful leader in your chosen environment. I really enjoyed it and I have learned how to communicate with others as well as trust myself.